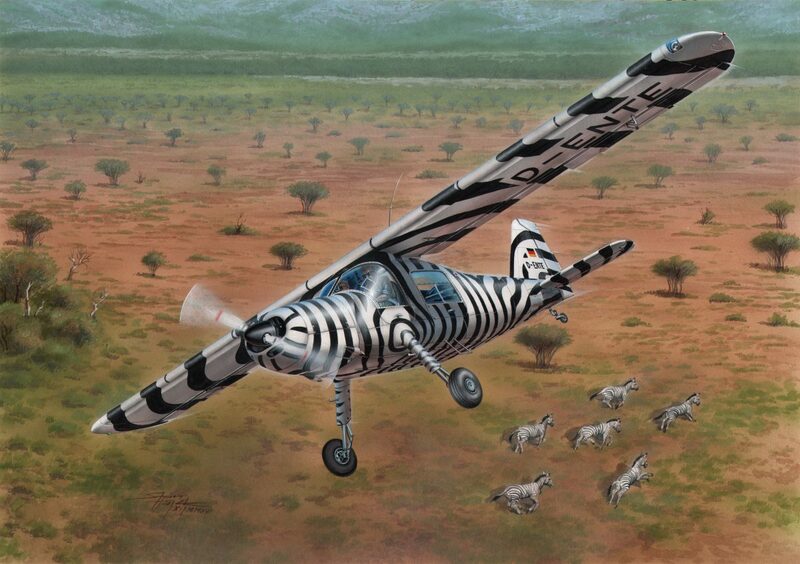 The June edition of Special Hobby newsletter is here and brings you among other items yet more detail sets for the new 1/32 Revell P-51D Mustang kit, including the main undercarriage and tailwheel legs made of special, heat hardened resin. 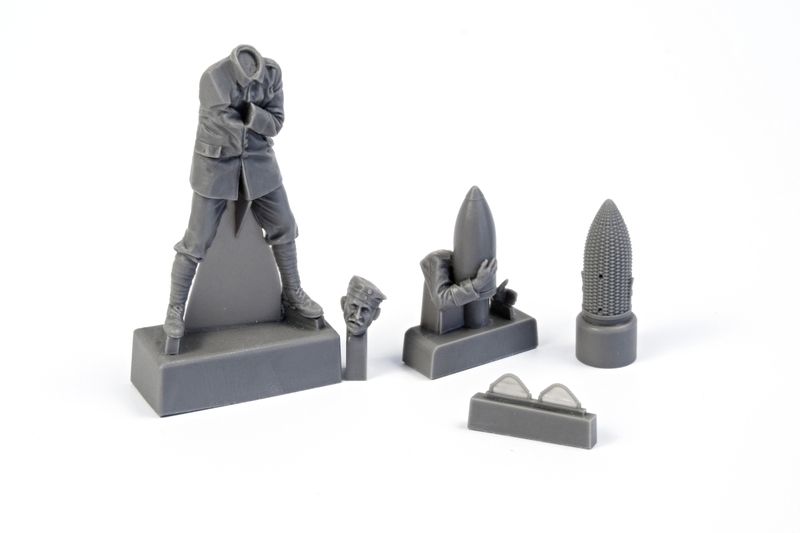 There is plenty of items from the CMK range of resin sets too, let us mention several resin cast figures in various scales, starting with the British WW2 fighter pilot and ground crew (for the new Kittyhawk model) all the way through to the German WW1 artilleryman which will nicely accompany the 25cm schwerer Minenwerfer model. 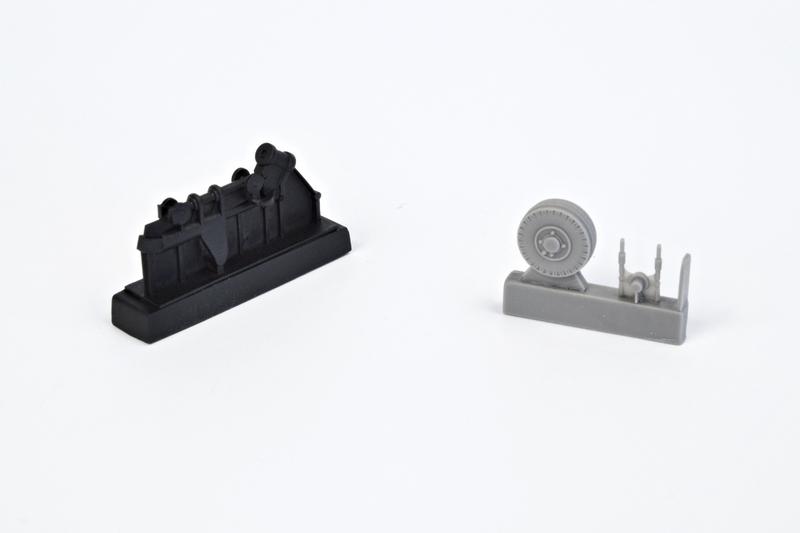 There are also three injection moulded plastic models, the 1/32 I.A.R.81 BoPi dive bomber and two 1/72 models, the Dornier Do-27, this time in civilian guise and the FH-1 Phantom, which took our team rather long time to finish. 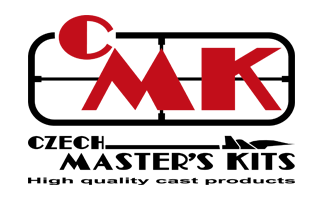 As modellers keep asking what models and detail sets Special Hobby are working on, let me unveil our plans for the future a bit. A couple of days ago on our facebook page, we exposed a rendered image of the 1/32 CMK Centaurus engine with engine installation for the Tempest Mk.II model, which set no doubt aroused interest among the modelling community. 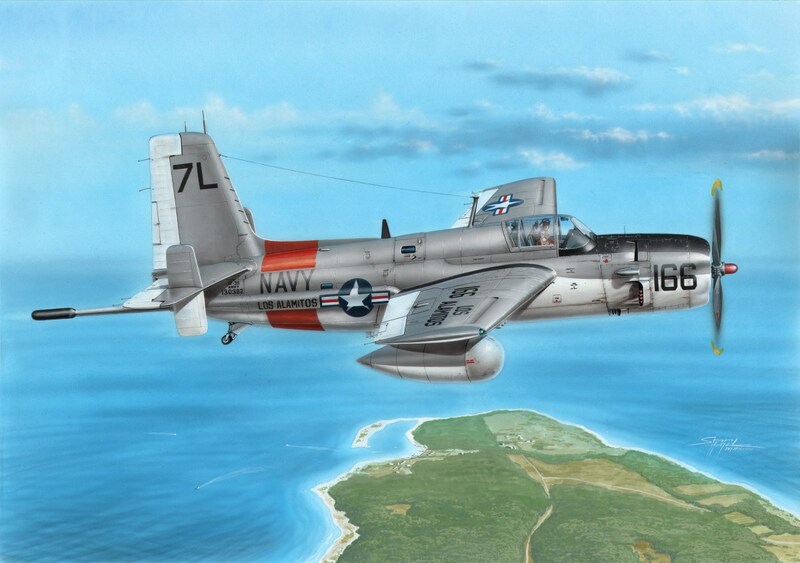 The new 1/32 Whirlwind is no less a popular topic. 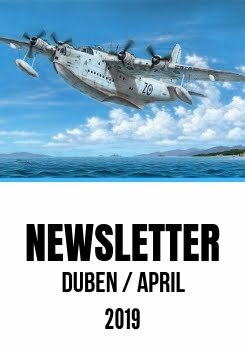 Our team are still working rather hard on this type and we hope to have it finished by this Autumn, as well as the 1/48 Si 204 and 1/72 Sunderland. 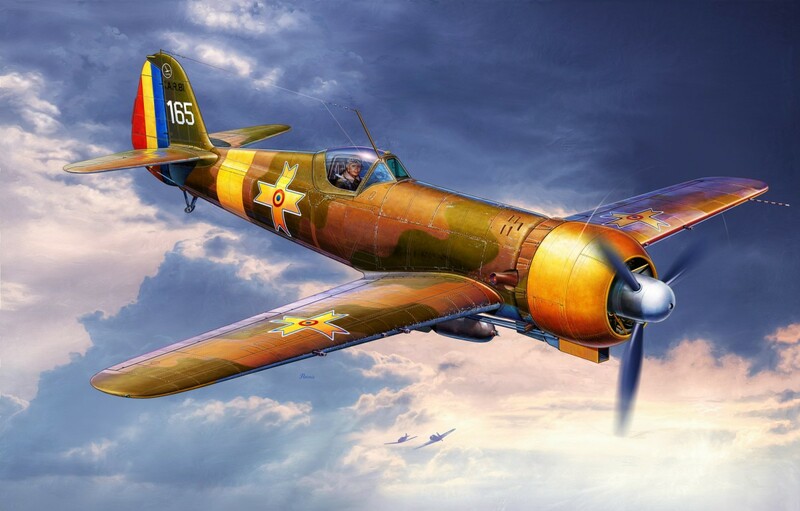 Let me also draw your attention to the very few last examples of the SH72141 1/72 Blackburn Roc, 72557 1/72 A-20B Havoc "MTO" and SH48033 1/48 Macchi MC.200 I. Serie "Bubble Canopy". 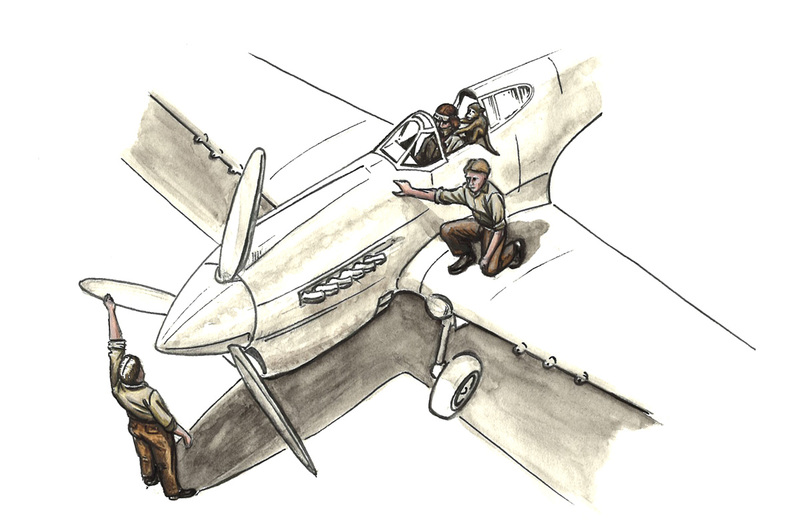 The team, led by K.Perkins, put forward a concept of a straight wing monoplane of all-metal construction. The power plants were supplied by Westinghouse. Originally, before the whole concept of the aircraft became clear enough, as many as eight engines were considered per each machine. Eventualy, a more conventional design with two powerplants on either side of the fuselage was accepted. The machine was fitted with six machine guns in the nose section and the Phantom military nickname was chosen. The type’s Model 19 powerplants proved to lack the necessary performance and were quite unreliable, too. However, the prototype XFD-1 machine begun its taxiing tests fitted with this type of powerplants, to be more precise it was fitteed with just one engine. On 26 January 1945, an accidental hop occured during taxiing which was considered the type’s very first take off. 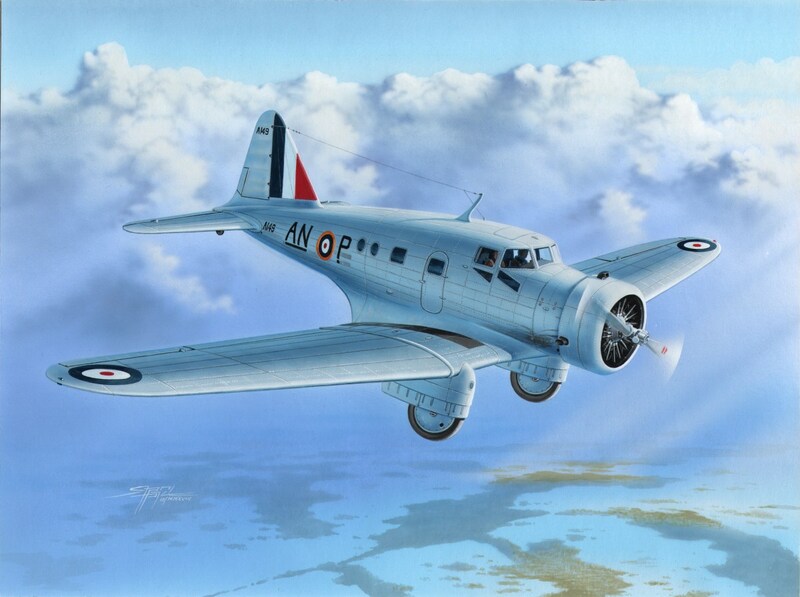 The flight tests went on until 1 November 1945 when the plane crashed, killing its pilot, W.Burke. It was hard times for the company, indeed. 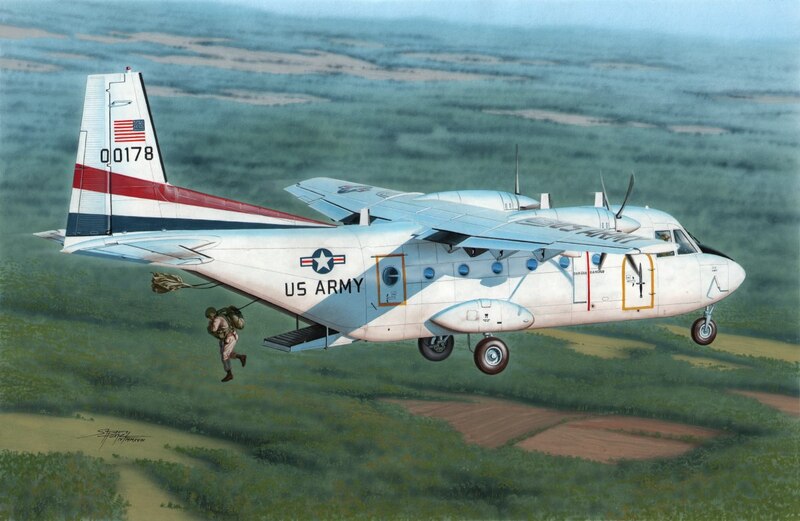 The original order calling for 100 examples of the aircraft was cut down to just 30 airframes by the end of the war, however, eventually, as many as 60 airframes were requested. The flight tests went on with the second prototype, during these tests the very first landing and consequent take off from an aircraft carrier occured, making the Phantom the very first naval jet aircraft to achieve this milestone. no. 750 operated by the NATC and flown by Rear Admiral Apollo Soucek, member of the Gray Angels aerobatics and display team. no. 108 assigned to Naval Air Station Grosse Ile, 1951, with the fuselage band in Orange. On the occasion of a public show, this airframe was carried an enlistment poster underneath its canopy, the poster is also in the decal sheet. A-FH-1 of the Marine Phantoms display team of VMF-2, with yellow trim. 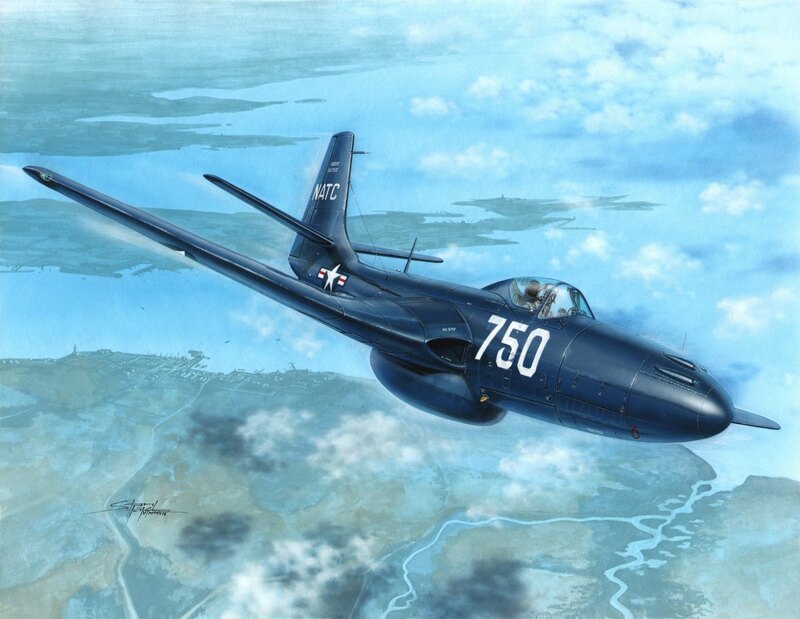 FH-1 Phantom, N2482A, as used for the pilot training in Teterboro School of Aviation. 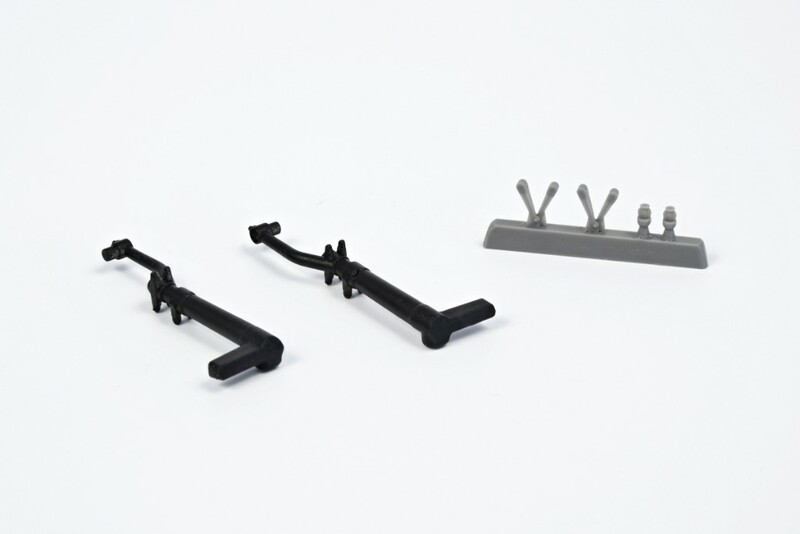 This set consists of new main undercarriage legs made of specially hardened resin material. 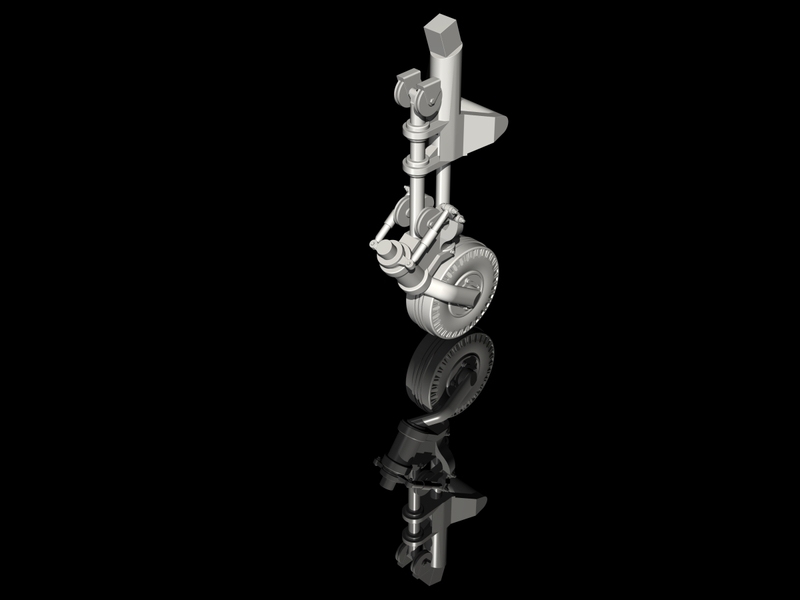 The cast parts are heat treated in an oven which gives them a high degree of hardiness. What is more, the master pattern was created using 3D technology making the resin cast legs substantially more detailed. Two metal-type drop tanks with jutting filler neck as seen fitted to the P-51D. The tank is a solid resin cast and the neck comes as separate part. You will not find this type of tank in the 1/32 Revell kit. 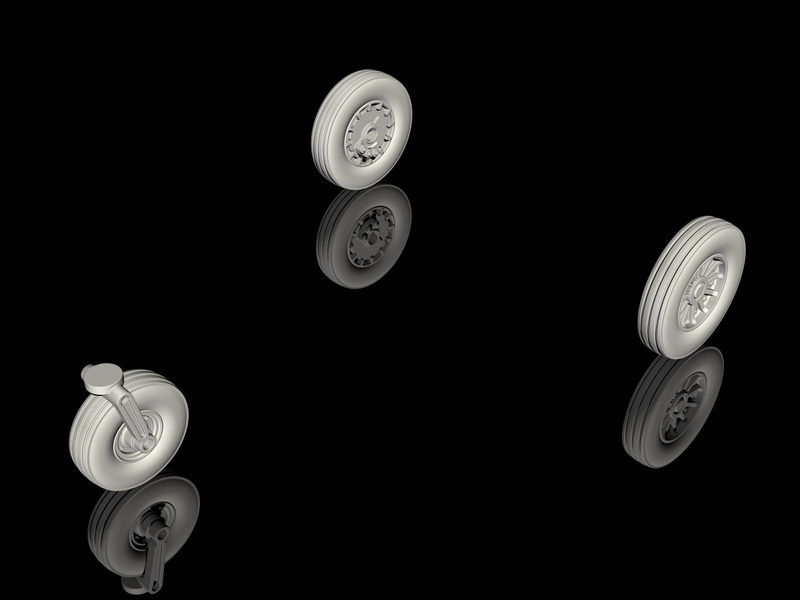 Master pattern created using 3D. 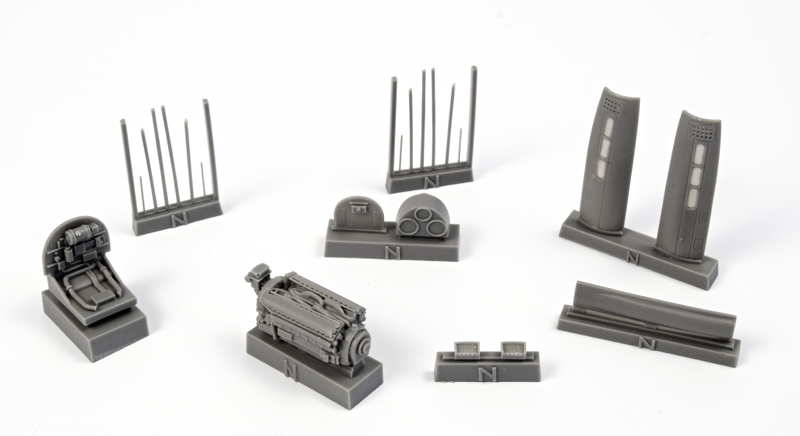 This detailed open engine compartment set has been designed to fit the new 1/72 Special Hobby P-40N kit. 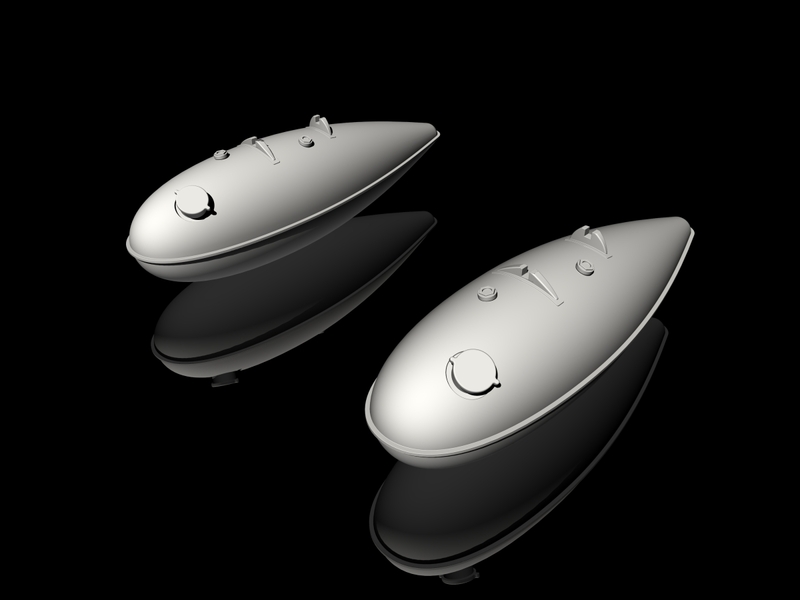 The set contains also the cowling panels. 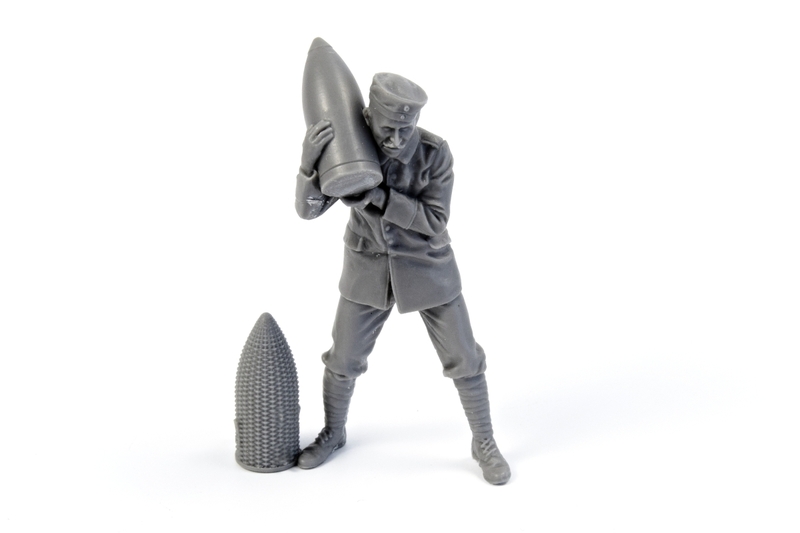 CMK bring you a figure of a German WW1 soldier portrayed while loading a shell into a 25cm mortar (CMK offer this resin cast weapon as RA 058, German WW1 25cm schwerer Minenwerfer / Heavy Mortar). 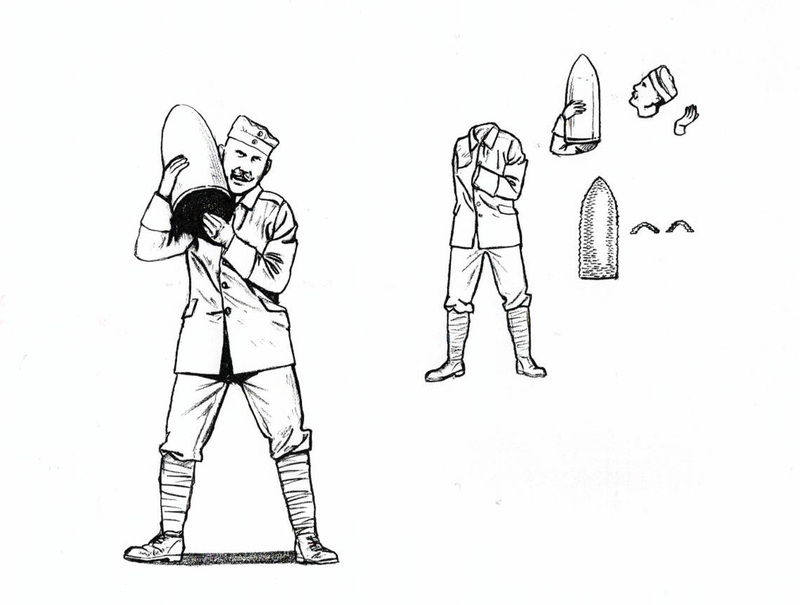 The soldier is holding the shell on his shoulder. Among the cast parts, you will find also a wicker basket used for the shell storage. The head and both arms of the figure come as separate parts. 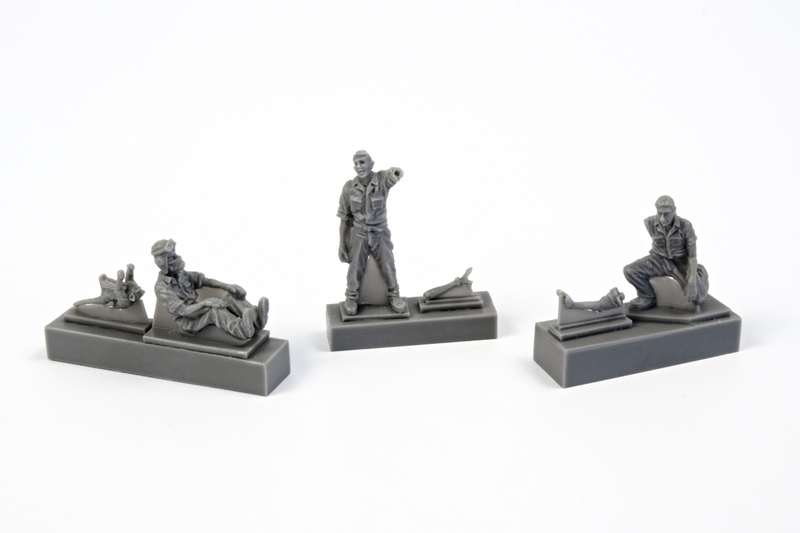 These figures depict US Army soldiers, members of the Infantry Squad 2nd Division on a patrol somewhere in Afghanistan. 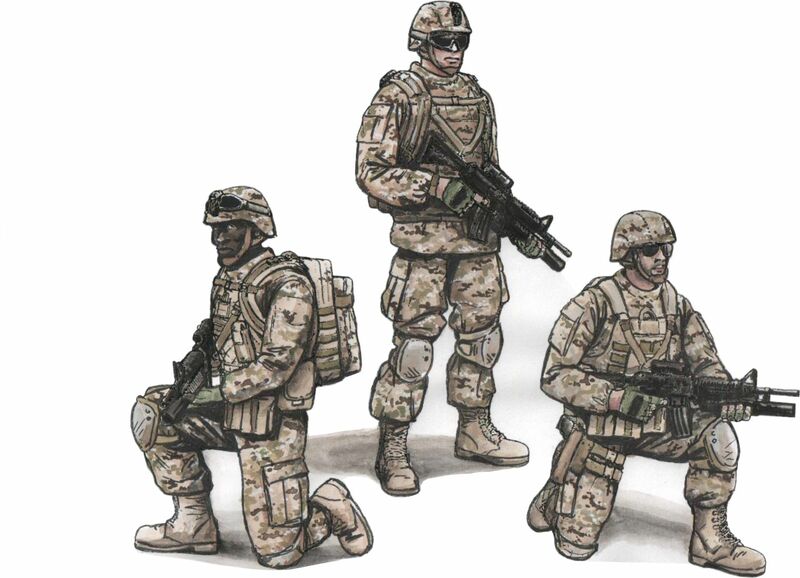 Two of the figures are kneeling, carrying a breathing apparatus and a MOLLE ruck sack and they are also pointing their SOPMOD M4 carbines forwards. The third figure is portrayed as standing, holding his SOPMOD M4 carbine on his chest, with a MOLLE ruck sack on his back. The soldiers also wear ballistic goggles and/or sun glasses. All the equipment, the helmets and the bulletproof vests provide ultimate detail. 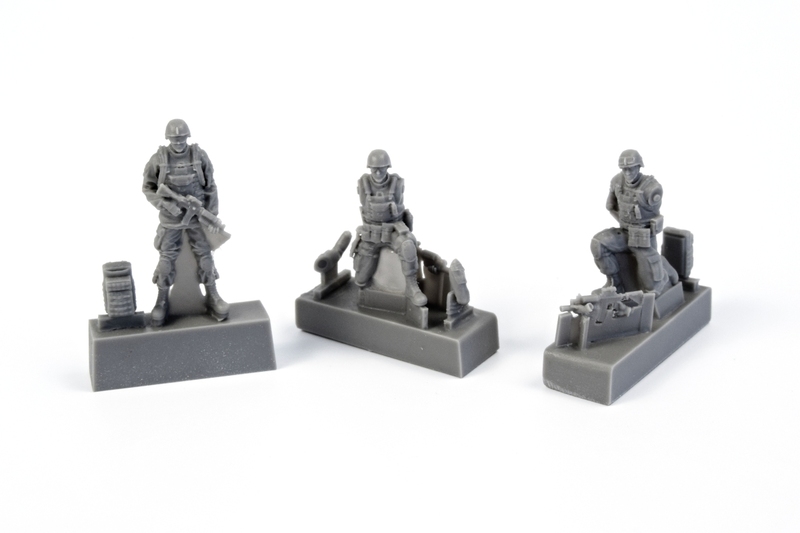 The figures are suitable not just for the M1126 Stryker model. The master patterns have been 3D designed and created. Nicely detailed figure of an RAF pilot as sitting in the cockpit plus two figures of his ground crew while preparing the fighter plane for take off from an African desert air strip. The set has been tailored to fit the new Special Hobby P-40 kit, or to be more precise the Kittyhawk as the plane was known to the Brits. 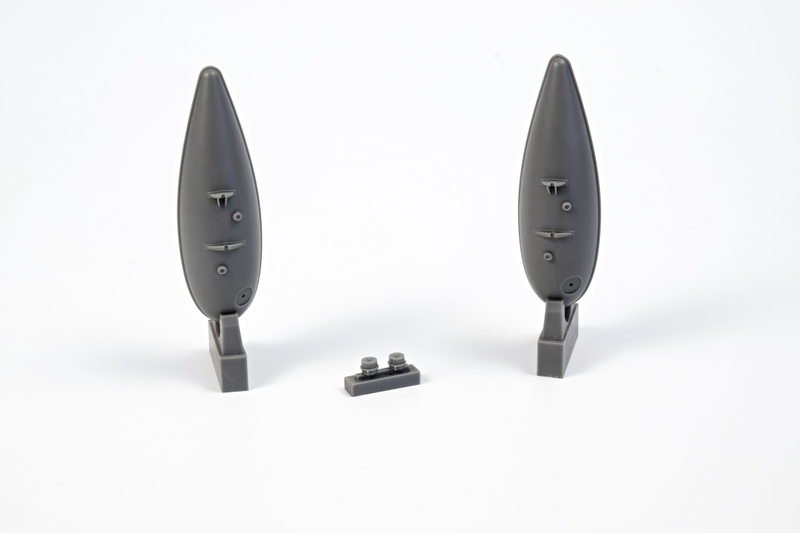 This set contains a brand new tail wheel leg made of specially hardened, oven-baked resin for extra strength. 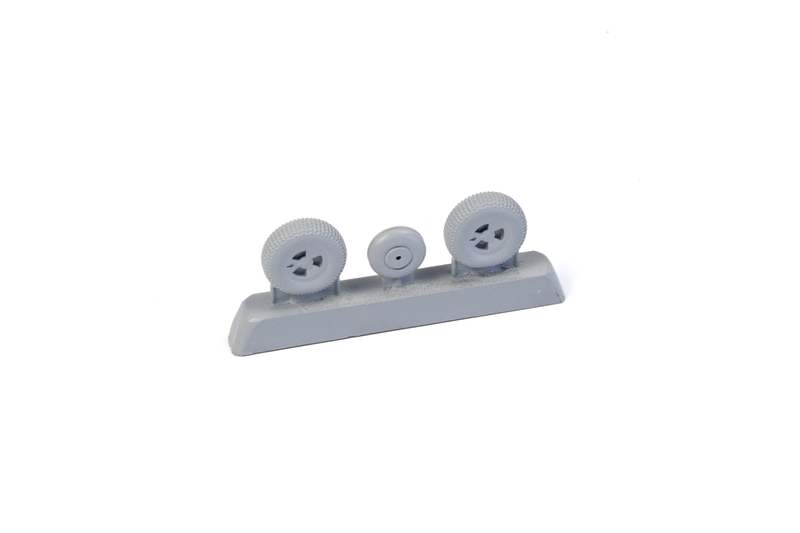 The wheel itself is of a standard type of resin. 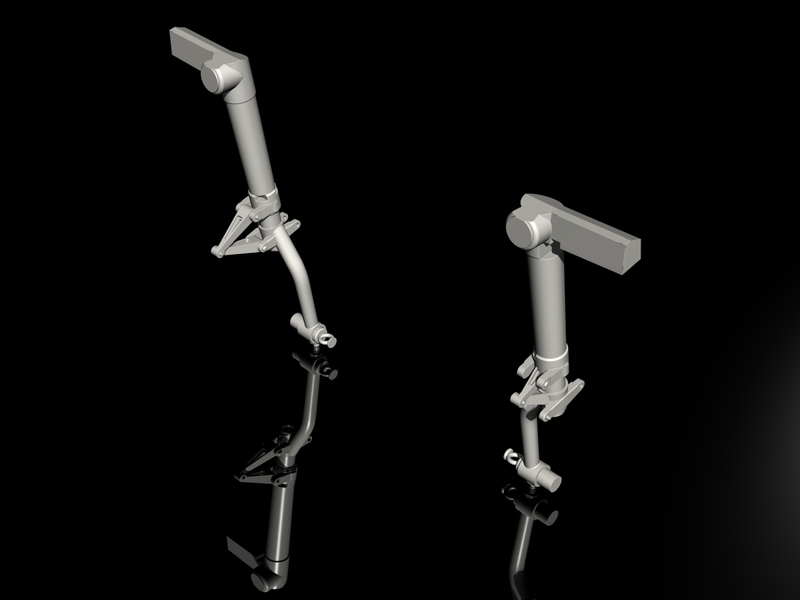 Both the leg and wheel have been 3D-designed and offer much higher levels of detail compared to the kit parts. 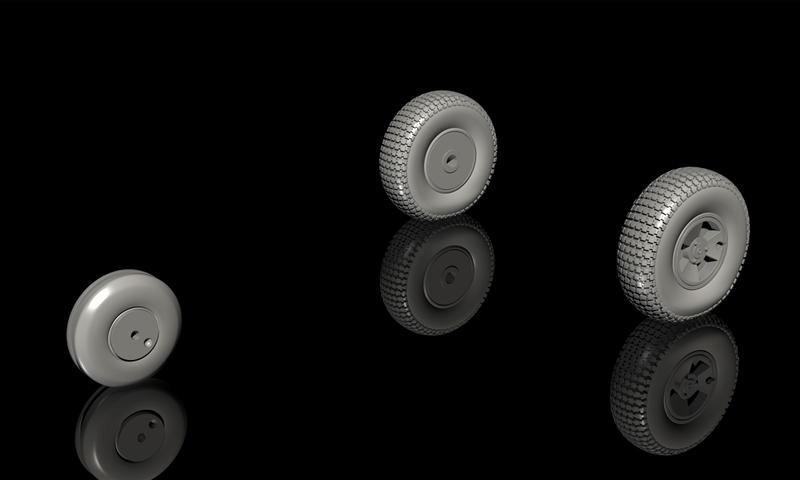 This set consists of all new spoke type hub undercarriage wheels, the master patterns have been 3D designed. 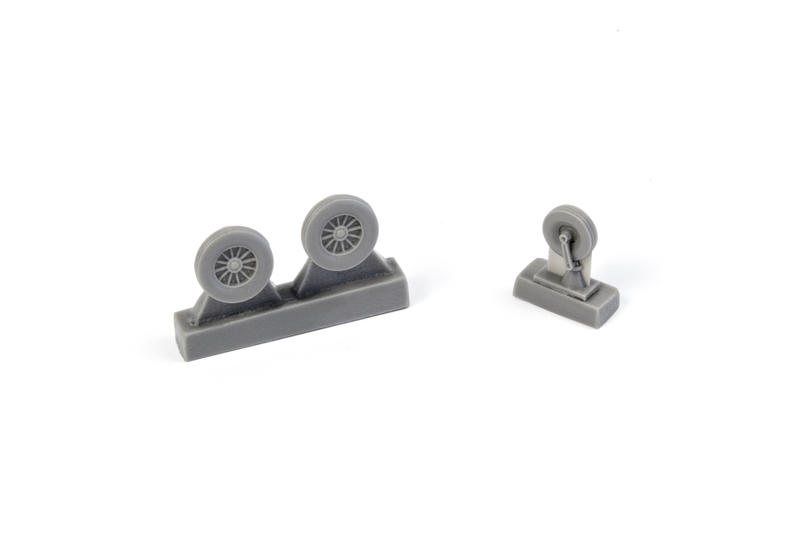 The nose wheel comes as one part with the lower section of the leg and is an easy replacement of the original Airfix kit underdetailed leg.